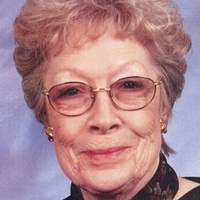 Lillian Justine Hall McKinney, 94, passed away on January 12, 2019, at her residence in Elizabethton. She was born in Wilder, TN to the late Wilburn and Elsie Shubert Hall. She was also preceded in death by her sisters, Evelyn Joines, Mable Dunlap and Edith Hambrick and one brother, Wilburn “Gib” Hall. Mrs. McKinney was a member of Harvest Baptist Church. She was an employee of Leon Fer enbach and retired after 43 years of employment. Those left to cherish her memory are her daughter, Deborah Franklin and husband Roger, of Elizabethton, son, Michael “Fuji” McKinney and wife Vickie, Kingsport . Grandchildren: Michelle Johnson and husband Chris, Roger Franklin, Jr. and wife Laura, Gregory McKinney, and Jason McKinney. Great Grandchildren: Keely, Caleb, Nick and Jayden Johnson, Hunter and Connor Franklin. Also several nieces and nephews survive. Funeral Services will be conducted at 7 p.m. Tuesday in Memorial Funeral Chapel with Pastor Dale Greenwell officiating. Graveside Service and Interment will be at 2 p.m. Wednesday January 16, 2019 in Happy Valley Memorial Park. Active Pallbearers who are requested to assemble at the funeral home at 1:20 p.m. Wednesday will be: Roger Franklin, Jr., Caleb Johnson, Chris Johnson, Frank Johnson, Eric Melton and Jack Hyatt. The family would like to express a special thank you to the staff of 4th floor at Holston Valley Medical Center, Abby Harris, John Wagner, John Brumit , friends at Harvest Baptist Church, and the staff at Avalon Hospice for such loving care during this time. The family will receive friends from 5 to 7 p.m. Tuesday in the funeral home. Friends may also visit with the family at the residence of Deborah Franklin. Family and friends will assemble at the funeral home at 1:20 p.m. Wednesday to go to the cemetery. Condolences may be sent to the family at our web-site www.memorialfcelizabethton.com.